Timothy Carder, author of the immensely popular Encyclopaedia of Brighton, wrote in 1990 that “Ship Street remains probably the most elegant street in Brighton”. I can see why. Ship Street’s importance is reflected by the fact that it contains around 25 listed buildings including the Old Ship Assembly Rooms which has the coveted Grade II* status. No. 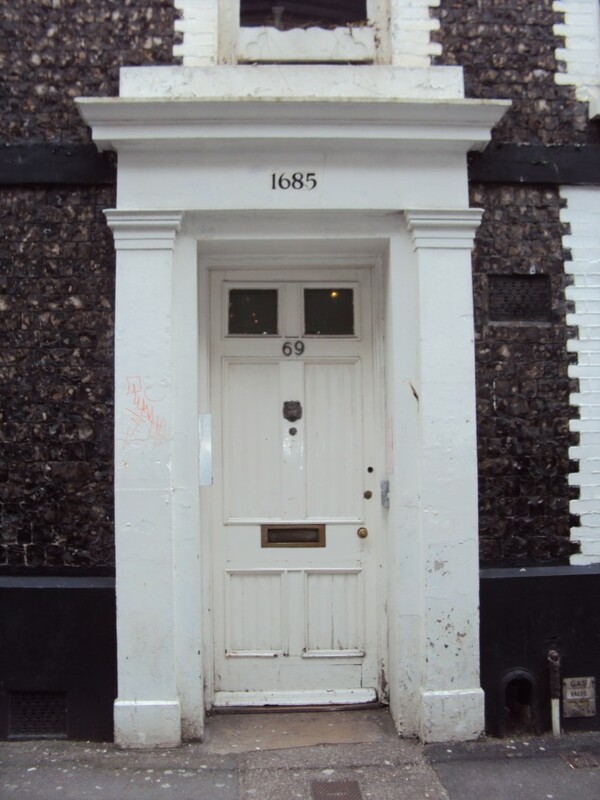 69 is a fine Grade II Listed building which I’ve often wondered about; not least because the date ‘1685’ has been detailed above its front door. Like many buildings on the road, it has been home to a number of solicitors, accountants and banks over the years but is today home to an advisory service for young people known as the YPC (Young People’s Centre). At two storeys, No. 69 is lower than its neighbours but it does have rooms within the roof-space along with a large basement. Brick quoins which have been painted white act as bookends tightly holding together row upon row of knapped and squared flints. The authors of the recent Pevsner guide to Brighton & Hove suggest that the date above the entrance “may be accurate” whereas Carder points out that the building “has a façade more appropriate to the following century”. As the date has been painted – not engraved – onto the building, we will perhaps never know for sure. The symmetry of the delightful façade suggests a simple interior but this couldn’t be further from the truth. Little remains in the way of historic features within though the authors of the recent Pevsner guide to Brighton & Hove note that the staircase is of “Late Georgian character”. The main building itself consists of a warren of rooms and there’s even more behind – a courtyard and large out-building at the rear. The courtyard provides views towards the huge Old Ship Assembly Rooms and also, intriguingly, across the deep foundations of a building site from which, I understand, a large extension to the Old Ship Hotel is due to rise shortly. The YPC is just one of a number of services provided by the Brighton-based charity Impact Initiatives. Other key services include specialist vocational support and housing provision. See www.impact-initiatives.org.uk for details. 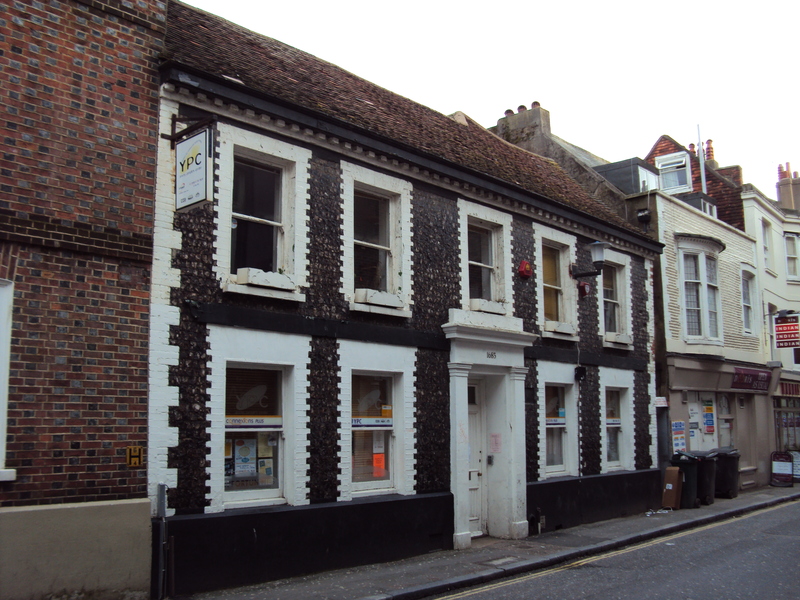 Before this piece gets published, Impact’s new offices at 19 Queen’s Road will have been opened by the Mayor of Brighton & Hove, Cllr Ann Norman. I wish the hard-working team the best of luck with the move.